Here are five (5) carpet cleaning tips to help you maintain and care for your carpet. 1. Carpet Cleaning Tips - Create a carpet cleaning schedule. Your carpet cleaning schedule should include, how often you intend to vacuum, what is your carpet cleaning system and when and who will implement your system. Dust accumulation is your carpet's enemy. Regular vacuuming will reduce the dust level in your carpet. Two of the most popular carpet cleaning systems are carpet steam cleaning (hot water extraction), and dry carpet cleaning. The use of either of these methods when done properly will remove oils, greases and whatever stains that find themselves on your carpet. It is a fact. The longer spills remain on your carpet the harder it is to clean them. Deal with them as soon as possible before you're faced with irremovable stains. Using mats at entrances to carpeted rooms will help reduce the amount of dust that would have ended up on your carpet. NOTE: You need to keep these rugs vacuumed. 4. Carpet Cleaning Tips - Your carpet cleaning supplies. Carpet cleaners can be mild or very strong. Most contain chemicals which are highly dangerous like, hydrofluoric acid, tetrachloroethylene and butoxyethanol. When using these products please read the manufactures instructions carefully and take the necessary precautions like wearing gloves and using goggles. This is my most favorite thing to do. Let someone else worry about it. When choosing a carpet cleaning professional be sure you ask for references. Your carpet is an investment, you shouldn't trust it with just anyone. Use the following link to choose a carpet cleaning professional in your area. I hope that these tips are helpful to you and your carpet. Take good care them. For tips on how to make your carpets last longer click here. 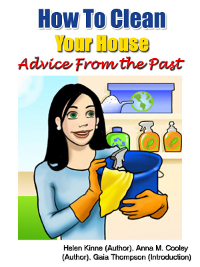 For information on how to clean your house, join the Saturday Morining Cleanup - a free weekly eletter to get you motivated and started on your weekend cleaning. 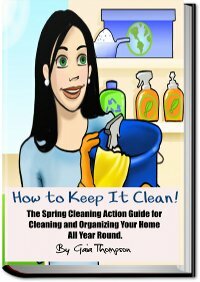 A also get instant access to the "How to Clean Your House" report when you join.